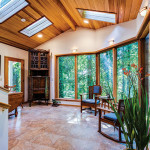 Residential and commercial remodeling in the Portland Metro area since 1991. Family owned and operated. Call 503-656-4807 today for a bid. “They arrived on time, did a full days work, cleaned up after each day, and stayed on budget. He often asked our opinion, went with our decisions, and stayed on time (weather permitting). We get lots of compliments and our neighbors were very pleased with how quietly John and his crew worked. “When I look back on our remodeling experience, there are several positive things I recall. Initially, John was great at getting a sense of how we function within our home. We started our process by telling him that ‘we love the neighborhood and the location, but our house needs a family room; where can we put it?’ He was great at brainstorming ideas. He came up with a very efficient remodel that basically split our living room in half horizontally and made the space into two rooms rather than one, with an unused elevated ceiling area. It feels like the room was always there, a perfect fit. During the process, John kept us informed so we could manage both my husband’s allergies and my three-year-old daughter’s inquisitiveness. He understands that he ‘becomes a member of your family’ for a couple months and you still have to get to work and function within your home. He and his staff tried hard to make sure it was a safe environment at the end of the day. He consulted us along the way to make sure [the remodel] was progressing as we’d envisioned, occasionally asking if we’d like minor modifications or adding something we hadn’t thought of before. He was always thinking a couple steps ahead. “As I sat in the sunroom you built and read your letter asking for my comments on how it went, I felt I had to respond. The sunroom is beautiful. It has become my favorite room in the house. To sum up my experience with the project, I would have to say [it was] excellent! From . . . start to finish, you listened to my thoughts, offered suggestions, kept your commitment on times and followed up throughout the project. The quality of work was also excellent! I have no complaints and would recommend John Sramek Remodeling to anyone.